With the release of 2014’s full-length debut Sateen, the Cincinnati, OH-based quartet Electric Citizen, currently comprised of husband and wife duo, Laura Dolan (vocals) and Ross Dolan (guitar), along with Nick Vogelpohl (bass) and Nate Wagner (drums), received attention across the blogosphere and elsewhere for a sound that owes a debt to Led Zeppelin, Black Sabbath, early 70s Rush and others. 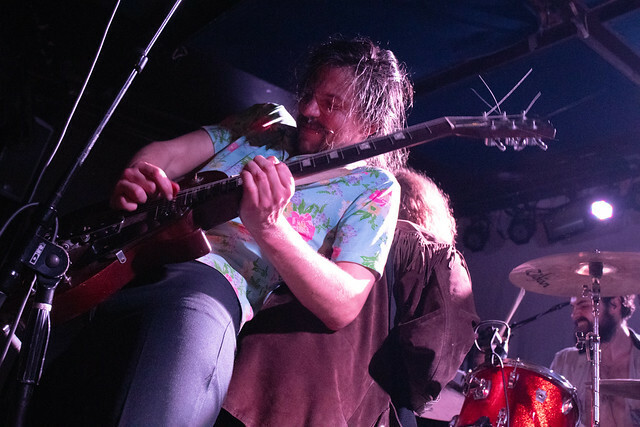 Building upon a growing profile, the band went on a busy schedule of touring both nationally and internationally with several renowned acts, including Fu Manchu, Wolfmother, The Budos Band, and Pentagram. The quartet’s critically applauded sophomore effort, 2016’s Higher Time found the band expanding upon their sound, as they were crafting muscular and anthemic hooks around prog rock-like structures but while retaining the conciseness of its predecessor. 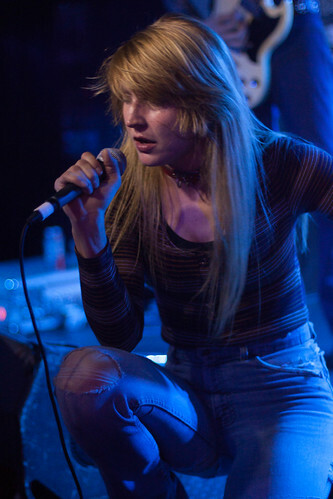 Additionally, the band’s sophomore album found Laura Dolan stepping up into more of a traditional frontperson role, which was reflected during the tour to support Higher Time as she strutted, stomped and swaggered across the stage with a larger-than-life confidence. 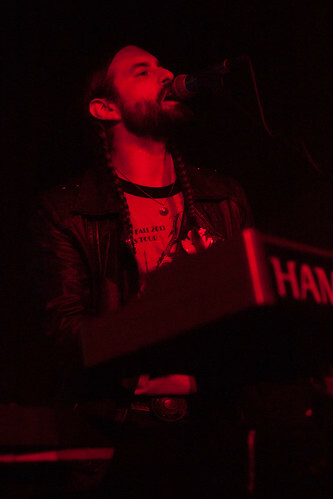 “Hide It In The Night,” Helltown‘s first single is centered around Black Sabbath and Led Zeppelin power chords, thundering drumming, arena rock friendly hooks and Laura Dolan’s rock star belter vocals — and while heavily indebted to its influences, the track will further cement the Cincinnati-based band’s reputation for tough, gritty, power chord rippers with an anthemic, larger-than-life feel. 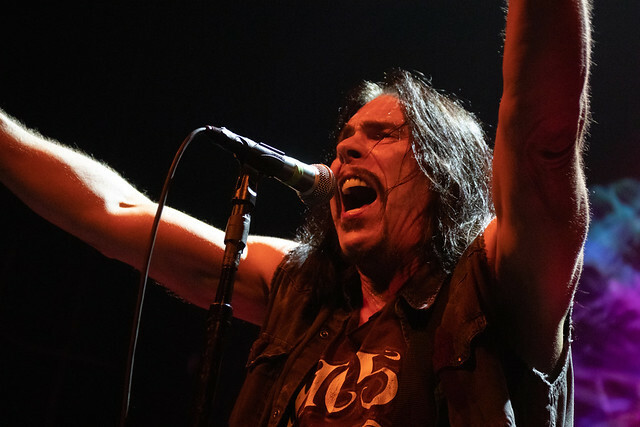 Further emphasizing the gritty vibe of the song, the recently released video is centered around a brutal, winner-take-all street fight that the members of the band watch with a insouciant cool. Caption: Cincinnati, OH's Electric Citizen headlining at The Studio at Webster Hall earlier this month.